What will win: “Roma” It has so many nominations and is easily the best “made” film of the year. Not my favorite but I respect what it accomplished. What should win: “Roma” It will piss off all the right people and be forgotten in 5 years. Perfect Best Picture winner if you ask me. How I would change the nominees: First of all “Bohemian Rhapsody” & “Green Book” are not good, I would remove them both. I would replace them with “Eighth Grade” & “Annihilation” which are actually well made movies. 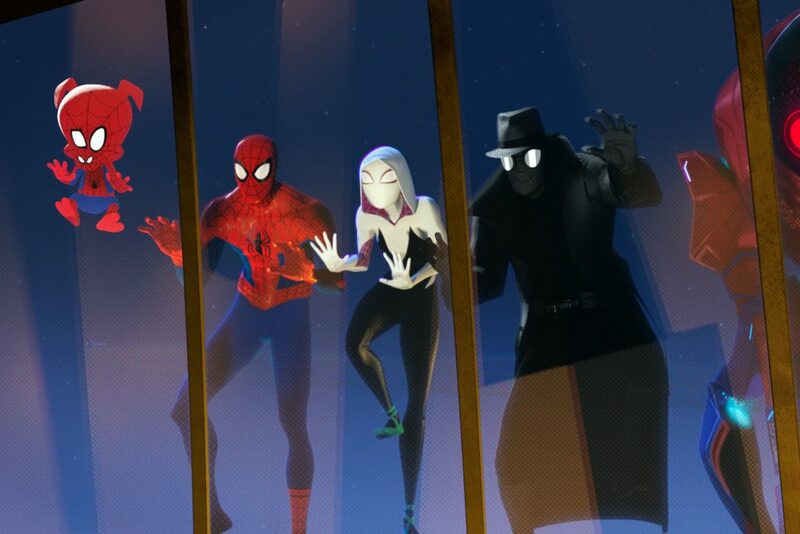 If the Academy wanted a superhero movie to get a Best Picture nomination it should have nominated the best superhero movie of 2018, Into The Spiderverse. I would swap that one with Black Panther. Thing I can’t wait for: The internet reacting to “A Star is Born” not winning. It is not Best Picture worthy and after 45 minutes really drags. What will win: Christian Bale, “Vice”. Hands down. How I would change the nominees: Get rid of Viggo and put Ethan Hawke, “First Reformed” It was easily a top 3 performance of the year by Hawke and he was robbed. Thing I can’t wait for: Fox News reaction to Bale saying something offensive in his speech. Who will win: Who knows? Wild category. I am leaning towards Olivia Colman. Who should win: Olivia Colman, “The Favourite” which is my favorite all-around performance in this category. How I would change the nominees: I’d probably remove the actress from Roma and put Toni Collette from Hereditary in there. Thing I can’t wait for: The shock when people realize Lady Gaga was incredible when she was singing and that’s about it. I thought she was a shoe in when I first saw the movie but then I saw so many better lead actresses in the meantime that giving her the award seems silly at this point. Who should win: Regina King. How I would change the nominees: Get Amy Adams out of here because Claire Foy “First Man” was a standout this year. Thing I can’t wait for: Oscar nerds complaining that Rachel Weisz and Emma Stone split vote. Who should win: Sam Elliot “A Star is Born” Best voice in an entire movie about singing and really the only anchor in the film. How I would change the nominees: Put Josh Hamilton “Eighth Grade” in here. His emotional conversation with his daughter in that movie is better than anything Sam Rockwell did in Vice. Why bother with other nominees? Alfonso Cuaron is going to win this in a landslide. I do think it is absolutely criminal that Bo Burnham was not nominated for Eighth Grade. This is the first year in almost a decade where there are 3-4 legitimate contenders. It is actually going to be exciting to watch the winners. The show will be too long and boring BUT at least there are very, very few locks this year. This entry was posted on Wednesday, February 6th, 2019 at 5:38 pm	and is filed under Events, Film, News. You can follow any responses to this entry through the RSS 2.0 feed. You can skip to the end and leave a response. Pinging is currently not allowed. « My Bloody Podcast #36 – ‘Crimson Peak’!